There is something to be said for simplicity! 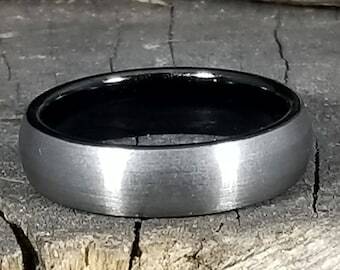 Nothing gaudy or overly fancy, no blending of materials, just 100% Pure Silver Titanium milled to perfection in a dome style fashion with love. 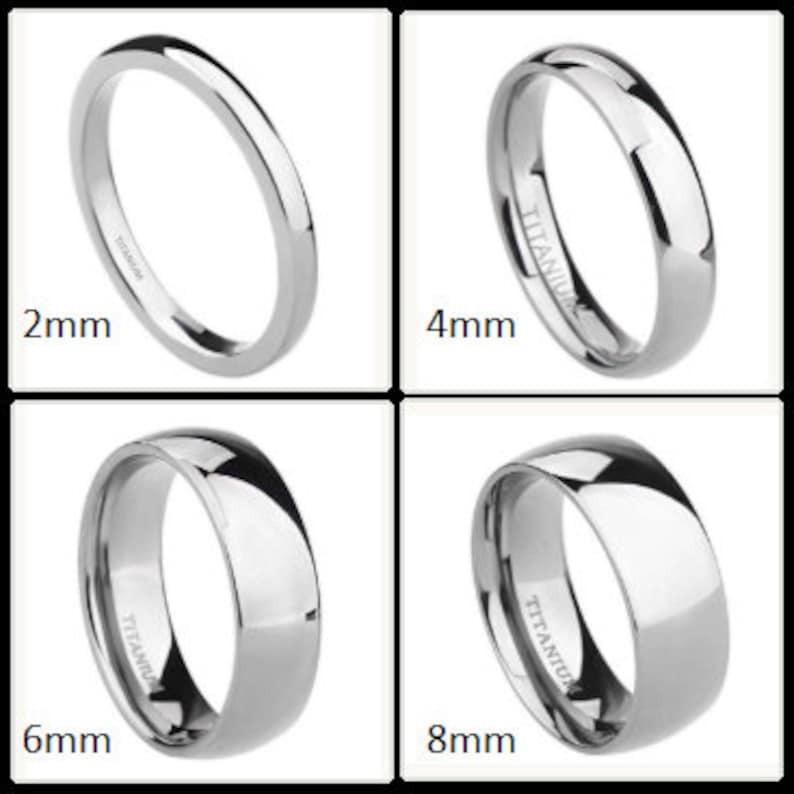 Choose the band thickness of your choice from 2mm, 4mm, 6mm or 8mm thick (look at the photos to see what each band thickness looks like) and I mill these in ring sizes ranging from 4-15. The most common question I'm asked is if this is the "Comfort Fit" inner band (makes you feel like it's barely there it's so smooth) and YES IT IS! It doesn't interrupt your work especially if you do a lot of typing or clerical white color type work making it perfect for every day wear. Titanium is a "Extremely Strong Space Metal / Very Light and Comfortable". Very Stylish and a great way to show your partner your devotion and love! Completely hypoallergenic, won't discolor your skin, the metal itself will never discolor, and it resists scratches and dings. Want to wear it while at the beach in the ocean? No problem! Acid Rain? No problem! Sweat won't cause discoloration either. Thank you for your patronage by shopping with Patriot Coin Ring. Awesome communication. Love my ring. Nice and sturdy. Wonderful seller. Thank you so much. Great seller who truly cares about his customers. When there was an issue with USPS there was little delay in fixing our problem. Beautiful product. I would recommend this shop to anyone. My husband is very pleased with his ring. He doesn't like wearing rings but says this one is comfortable and he doesn't notice it on his hand.